The NovAge beauty boost your skin deserves. Maximize your face care routine with a compact mask. These masks are the new shortcut to achieving a more beautiful skin (apart from providing an excellent selfie )! Inspired by the Korean beauty trend, these fabric or peel-off facial mask confer an antiaging boost to the skin. You can even customize this mask for application in the areas you need most. They light, moisturize and refresh the skin in a few minutes. Cleanse your face to prepare the skin for absorption of the nutritious ingredients. Remove the compact mask from its plastic wrap, place it in a small container and add enough tonic to soak the mask. Wait for the mask to expand to its maximum size. Apply the serum to the face, open the mask and place it on the face. You can use it for up to 5-10 minutes. In case of discomfort, discontinue use immediately. Avoid the eye contour area. Set of 15 individually folded masks to be used with toner, night cream, serum or a combination of all these products. 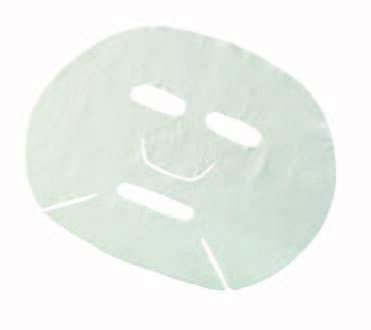 face masks, made of non-woven polyester, that expand when wet. Can be used up to 10 minutes. Set of 15. Dimensions: 2 x 2 x 0.8 cm (compact), 24 x 20 cm (normal size after wet). ‹ VIDEO TUTORIAL: 1 MASCARA OF EYELASHES, 4 LOOKS!